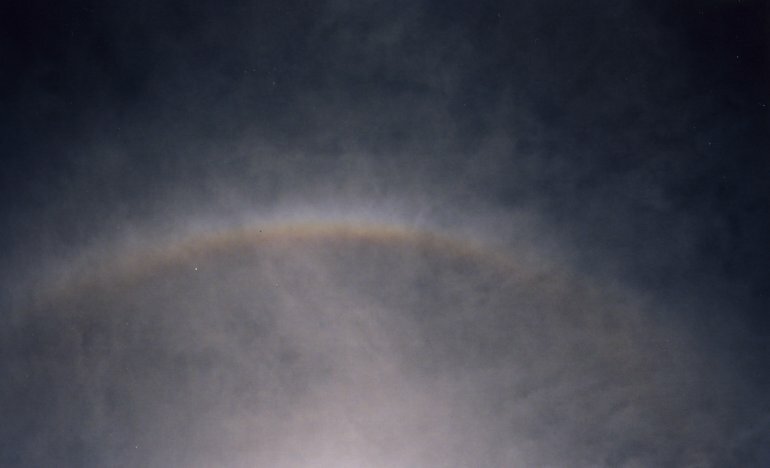 Photo of the Week.The top of the 22-degree halo around the Sun caused by refraction of sunlight through hexagonal ice crystals. Astronomy news for the week starting Friday, January 9, 2015. 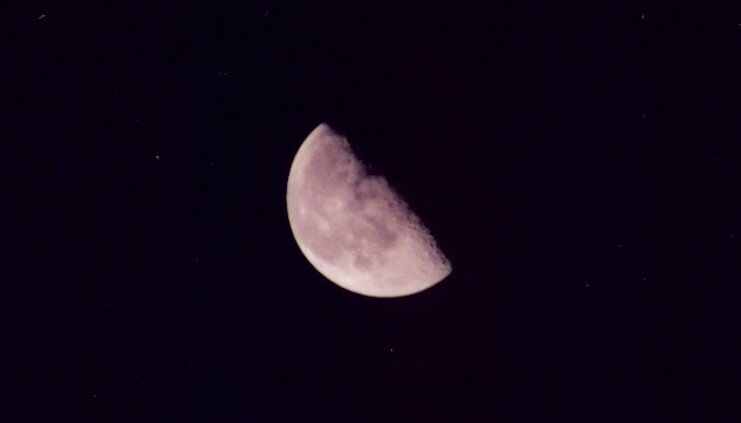 This week centers on the third quarter Moon, which takes place on Tuesday, January 13, shortly before daybreak in North America, allowing a near-perfect quarter phase to be seen. Look for the star Spica in Virgo just to the south. In the third century BC, Aristarchus of Samos tried to measure the angle between the Sun and Moon at the time of the quarter. If the Sun were infinitely far away, the angle would be 90 degrees. He found an angle of 87 degrees, and concluded that the Sun was 20 times farther than the Moon. It turns out that the angle is impossibly small to find with the naked eye and he was off by a factor of 20 (the Sun 400 times farther than the Moon). But his brilliant conclusion that the Sun is much more distant than the Moon was indeed correct. 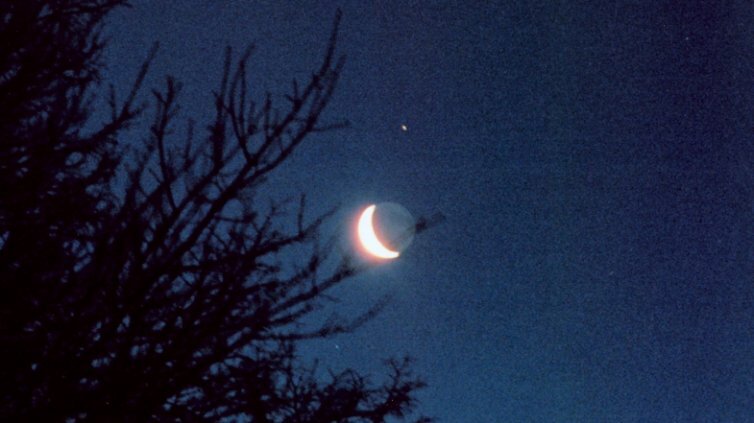 Earlier in the week we see the Moon in the waning gibbous phase, later in the week it thins as a waning crescent. The morning of Friday the 16th, as Skylights week ends, the rising crescent glides just to the north of Saturn, the two of them above the star Antares in Scorpius. 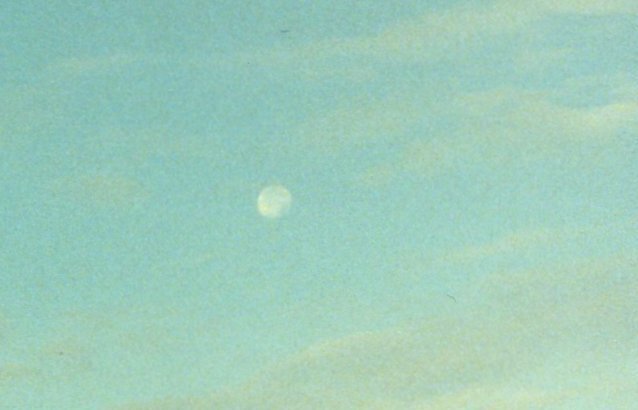 As the week opens, the Moon is at apogee , where it is farthest from Earth. And because of the eccentricity of the Earth's orbit and the tilt of the terrestrial rotation axis, the latest sunrise took place around January 4, the latest dawn around the 8th. We will now see the morning skies ever so slowly getting lighter. 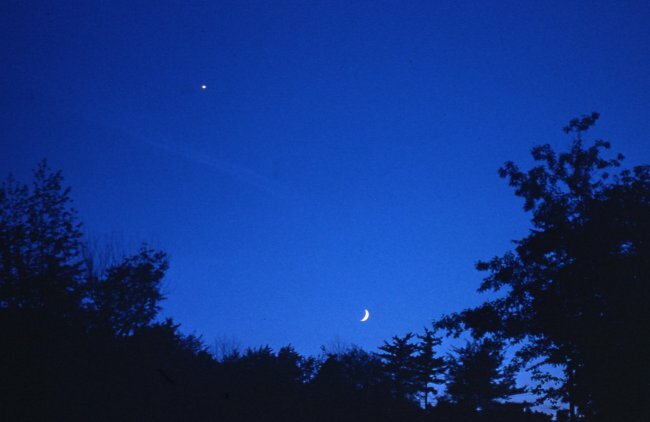 The evening sky features Venus, which is slowly breaking out of dusk as it climbs higher and higher. This week features a close interplay between Venus and Mercury, which passes greatest eastern elongation (to the east of the Sun) on Wednesday the 14th. The evening of Saturday the 10th, the two will be under a degree apart (Mercury the fainter), allowing an excellent opportunity to see the first planet from the Sun, providing you have an unobstructed west-southwestern horizon. Shortly after Venus sets and evening twilight dims, Jupiter rises in the east still to the west of Regulus in Leo. Climbing high, the giant planet crosses the meridian to the south around 2 AM. An hour and a half later, Saturn (fainter than Jupiter, but still bright first magnitude) rises right off the tip of Scorpius's three-star head. Back in the evening, Mars continues to set at 8 PM near the Capricornus-Aquarius border. Then catch Comet Lovejoy, which this week zooms northward west of Orion and Taurus; binoculars will help. In the early evening, the constellations of the Andromeda myth fill much of the northern sky. The most southerly of them, Cetus, the Sea Monster or Whale, floats with his head above celestial equator. Higher and a bit to the right is the flat triangle that makes Aries (the Ram), next upward the eponymous Triangulum, and then the focus of the story, Andromeda herself.